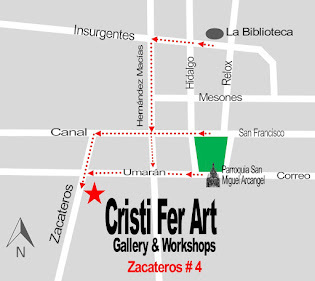 Cristi Fer Art Studio and Gallery is highly recommended on Trip advisor and has a strong presence on the San Miguel art seen. 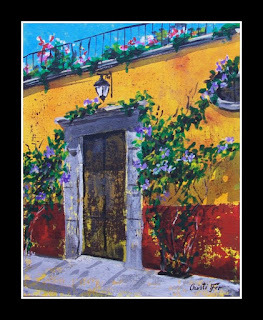 The gallery offers original paintings by Mexican painter Fernando Gonzalez and Rumanian Cristiana Marinescu. The Mexican heritage or Maestro Gonzalez is undeniable in the Mayan inspired mixed media paintings on paper, while Mrs. Marinescu is expressing the Mexican experience through a personal perspective. 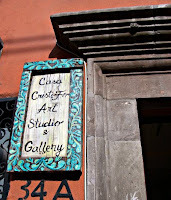 Just 3 blocks from the main plaza, the gallery and art studio is located on one of the little streets connecting the North and South of San Miguel, Hernandez Macias 34 A. If you spend a weekend or a season, visit the gallery! 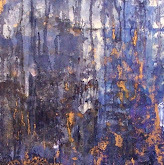 Apure an original painting directly from the artist or attend a workshop. 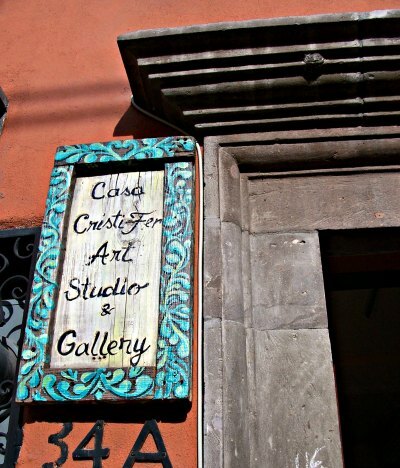 If the gallery is closed just send an e mail ( cristiferart@yahoo.com) or call 415-121-2311 for an appointment.